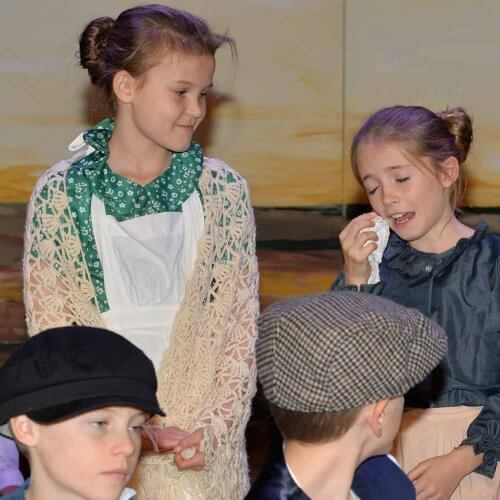 Year 6 have been working very hard on their production ‘Tin Hats and Telegrams’, which is being performed this week. 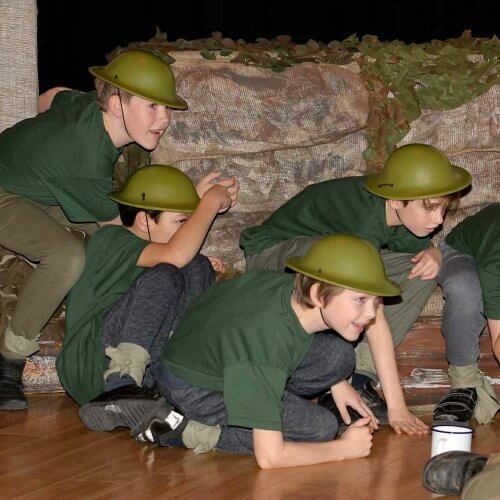 Set during WWI, the story tells of life on the front line as well as back at home in the village. 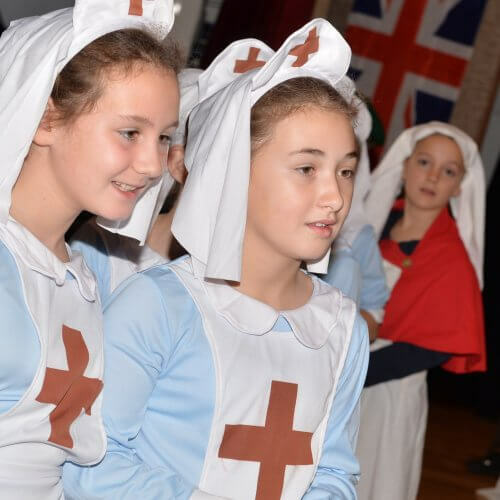 The children took on the roles of ambulance drivers, soldiers, nurses and villagers with gusto, and there were some poignant moments. 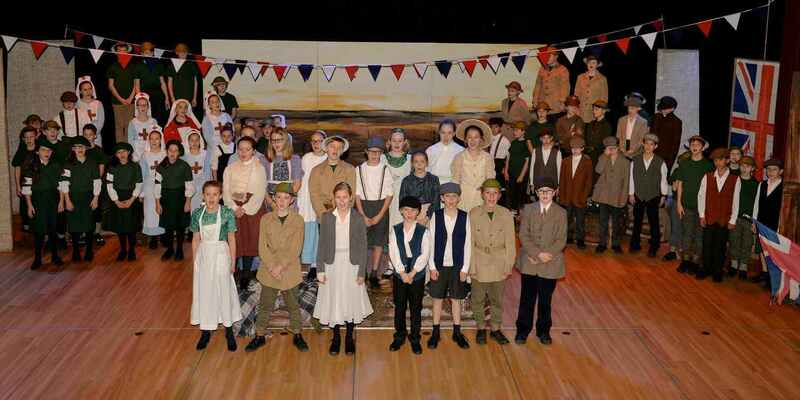 The set and costumes were a great backdrop to a super production. 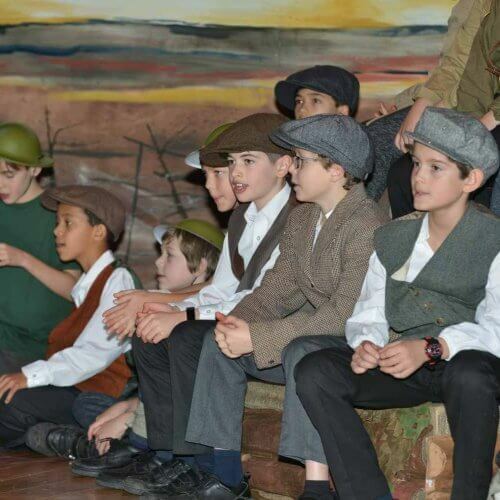 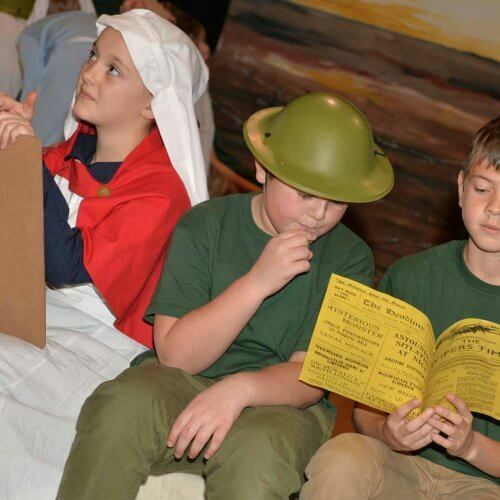 The play was written specifically for schools to commemorate the 100th anniversary of WWI. 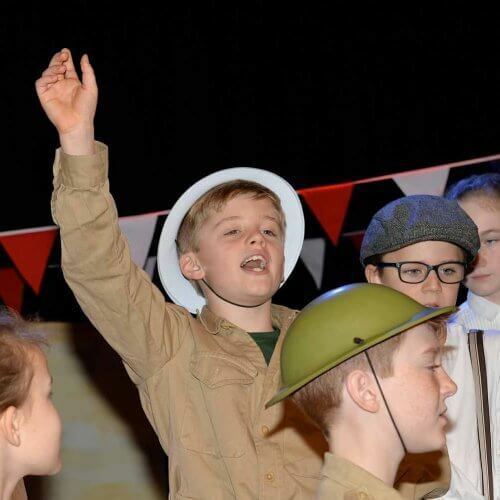 Very well done to you all.